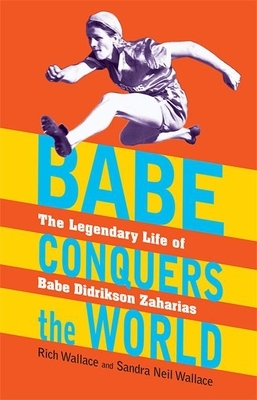 Famous female athlete Babe Didrikson Zaharias had one driving goal: to become the greatest athlete who ever lived. But there was more to Babe than just sports. Babe had a meteoric rise -- to famed basketball player, Olympic medalist, and top female golfer. But her life included many controversies surrounding her upbringing, personality, marriage, and even her early death. This action-packed true story of a woman ESPN ranks as #10 of the top North American athletes of the twentieth century is a fascinating biography of a historical sports figure. Ideal for Women's History Month, the book includes personal and professional photographs, quotes, a bibliography, and an index. Sandra Neil Wallace had a lengthy career as a news anchor and ESPN sportscaster before writing realistic fiction and nonfiction for young readers. A pioneer in the journalism field, she was the first woman to cover the National Hockey League on network TV. Selected as a promising new voice in children's literature by The Horn Book, Wallace's titles have been named to state and national awards lists including Bank Street College's Best Children's Book of the Year, ALA-YALSA Quick Picks, and Booklist's Top 10 Sports Books for Youth. Visit sandraneilwallace.com. Rich Wallace has written more than three dozen novels for children and teenagers, beginning with Wrestling Sturbridge, which the American Library Association selected as one of the top 100 YA books of the twentieth century. His recent forays into nonfiction include the acclaimed Babe Conquers the World and Blood Brother: Jonathan Daniels and His Sacrifice for Civil Rights (Calkins Creek, 2016). Visit richwallacebooks.com.